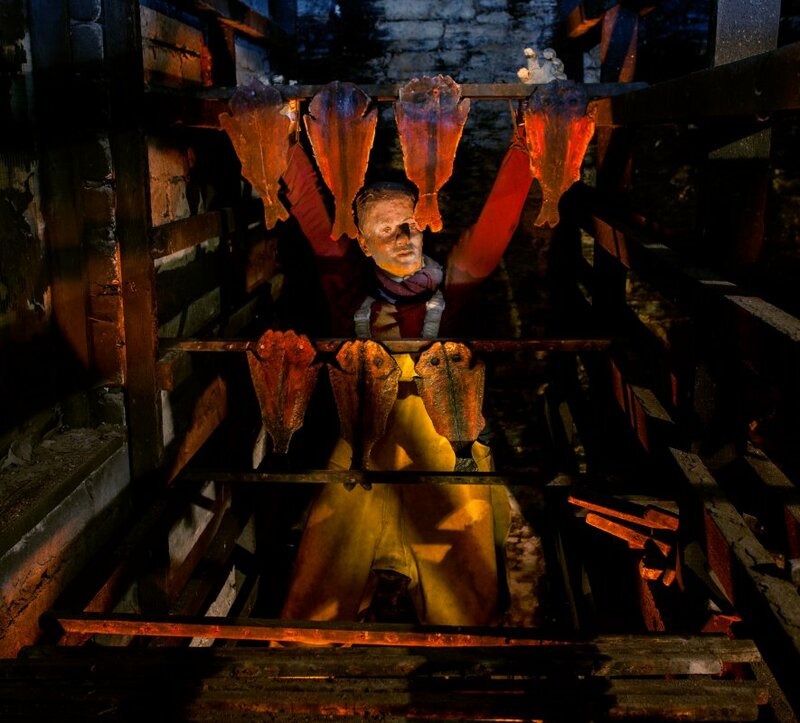 While large quantities of herring were gutted and packed salted into barrels for export, there was also a market for kippers, the smoked variety of herring. 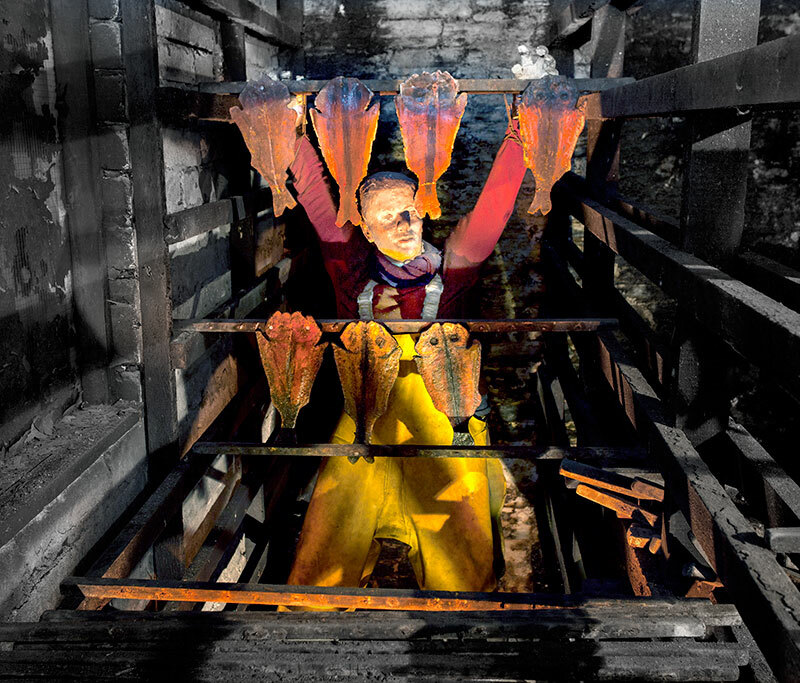 Our kippering kiln, last used in 1949, had the capacity to smoke up to 8,000 fish. In the early 20th century there were 50 kilns operating in the town. All boxes and barrels shipped from Wick contained the name of the producer – a stenciled display records some of the names.